The SDURO AllMtn 8.0 is one of the first e-MTBs to offer networking via a mounted On-Board unit. With GPS, GSM and Bluetooth available, cloud-based communication is possible. 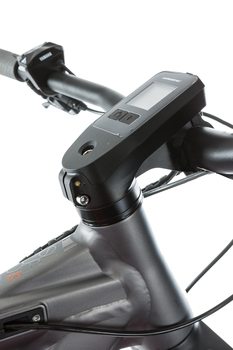 This allows for new services such as GPS-based anti-theft, tracking or route export and an automatic emergency call function which is especially important for e-MTBs. The new lighter and more powerful SDURO Yamaha PW-X system drives the e-MTB and is integrated with the new Gravity Casting Interface and Skidplate, into the sporty aluminum frame. 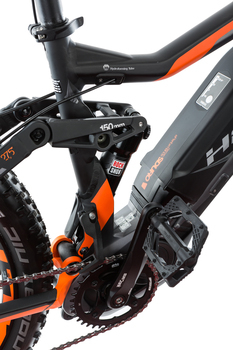 High-end components such as Magura Boltron forks and the new, stem-integrated display, add to the premium quality of this bike. 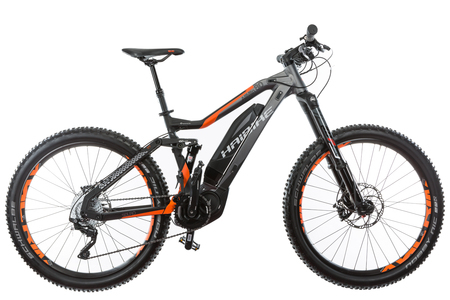 This bike has all the features that customers expect from a modern trail bike. A great overall package that also adopts a new approach to the integration of individual components.